Party games aren't just for kids! The next time you host a gathering at your place try adding some games to the mix. Good food, drinks, and music can get a crowd going, but party games will make your function even more interactive. Not sure what kind of games to play? Here are three game suggestions I have that will definitely entertain your guests. 1. What Do You Meme? Who doesn't love a good meme? With this game, you will basically compete with your friends to see who can create the funniest memes. 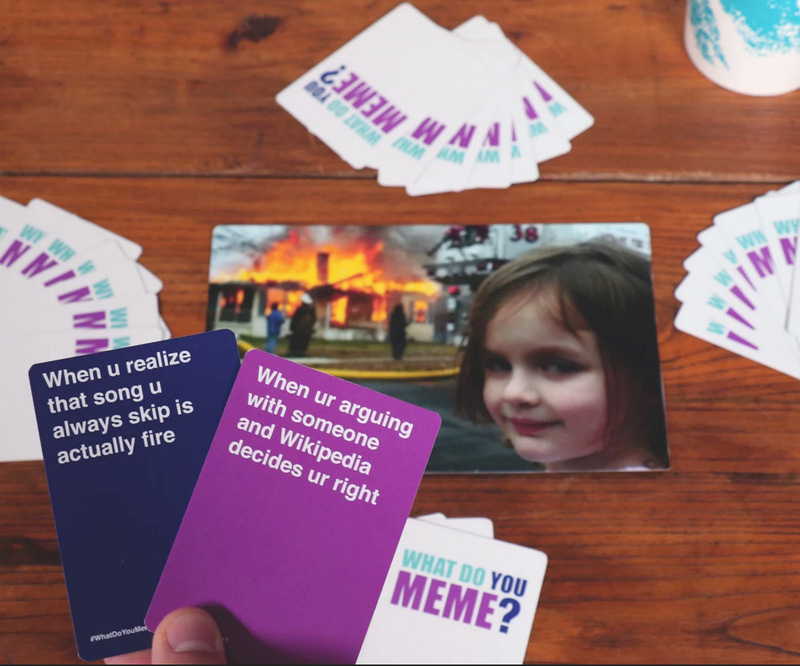 Each round a photo will be put on display and each player has the chance to create the meme by playing one of their caption cards. The key is to tailor your captions to the judge's humor. Each round the judge will rotate and choose the funniest meme for the current picture. This is an extremely fun game to play with groups and even after you've gone through all the cards you can purchase expansion packs to add to the game. 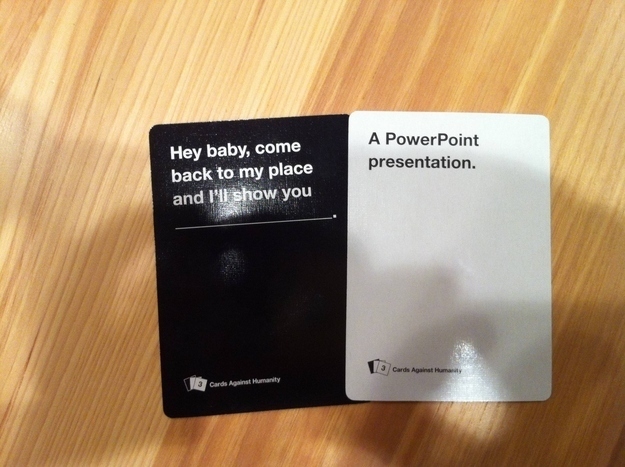 Cards Against Humanity is another card game that you can play in groups. This game is definitely more vulgar and meant for a mature audience. In this game, players complete fill-in-the-blank statements using words or phrases on the cards they are dealt. The statements are typically deemed as offensive, risque or politically incorrect. After all, it is regarded as a "party game for horrible people." If you feel the need to throw out a few cards, do not hesitate. You may come across a few cards that go too far for you, but there's still plenty of options to make for an entertaining game. You can also purchase expansion packs for this game! This is pretty much your classic guessing game. You split into two teams and take turns trying to get your teammates to guess the word or phrase displayed on the game system without actually saying the word or anything too similar. 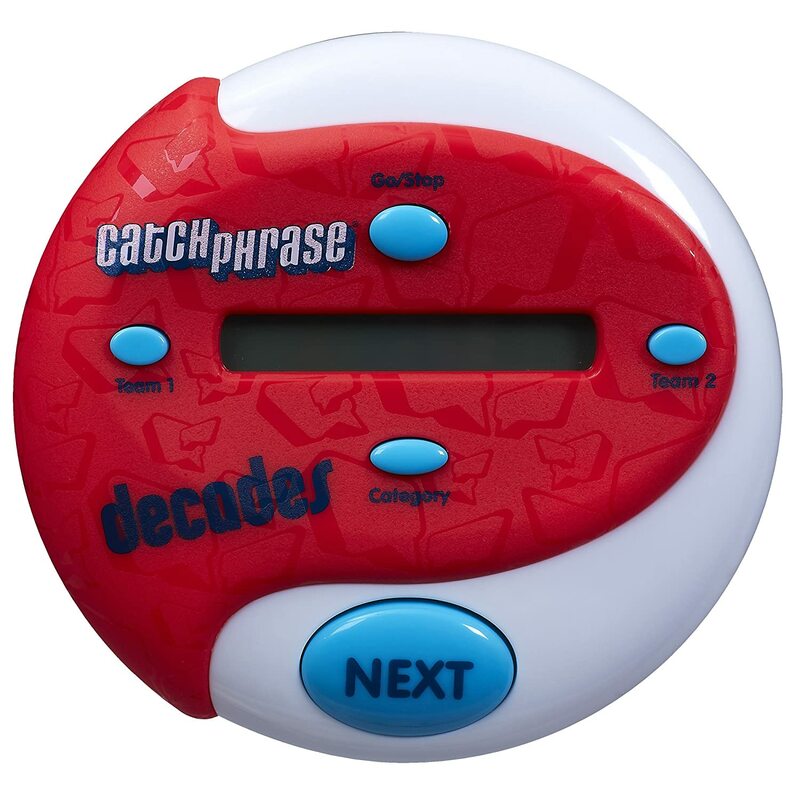 After a correct guess, the next person gets a chance to do the next phrase, and it continues around the group until the timer runs out. The team not holding the disc receives a point.